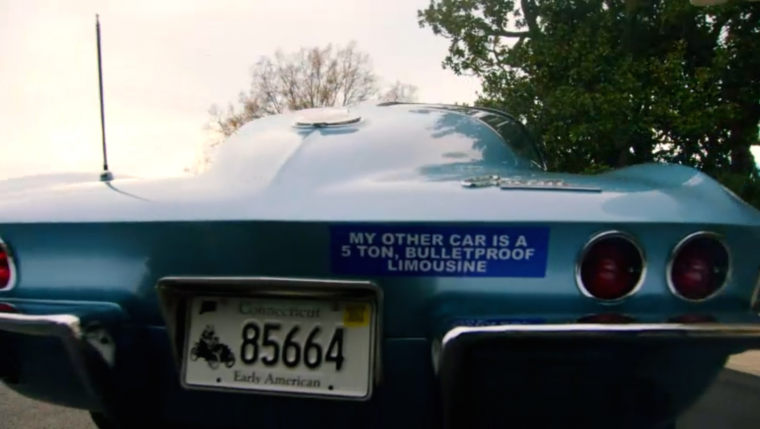 For the first episode of the seventh season of Comedians in Cars Getting Coffee, creator and host Jerry Seinfeld landed his biggest “get” yet: a gorgeous 1963 Chevy Corvette Stingray. Oh, and he got President Barack Obama to drive it, too. As its title suggests, the web series usually focuses on comedians [insert angry Facebook comment about “OBOZO” being “the biggest clown of them all!! !” here], but if the leader of the free world offers to be on your show, you go ahead and break from the traditional format. 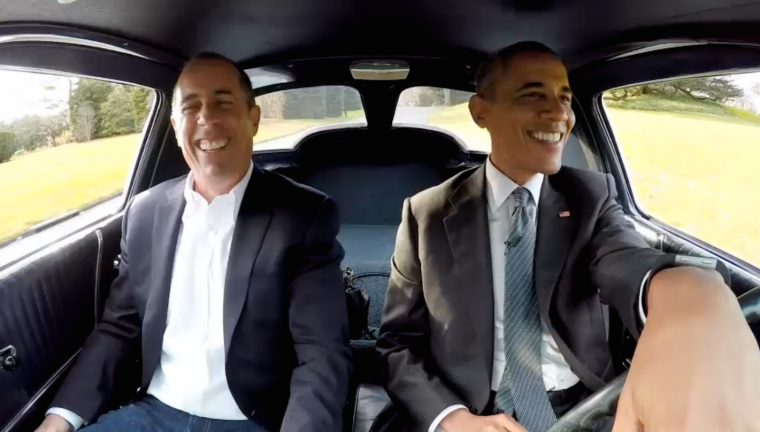 Seinfeld justifies Obama’s appearance by arguing that the Commander in Chief has “gotten off just enough funny lines to qualify” for the show. And in fact, Barack even manages to get in a couple decent zingers during his chat with Jerry, which you can watch in its entirety at Crackle.com. Though the car is playing second fiddle to the guest (even more so than usual), it’s still a head-turner. For this episode, Seinfeld found a silver blue 1963 Corvette Stingray with a 327 cubic inch V8 engine and, in Jerry’s estimation, the biggest coolness factor of any American car. Barack agrees, saying it’s the sports car he fantasized about owning when he was a kid. At the end of the video, Jerry lets Barack get a taste of his childhood dream, as he drives the ‘Vette around the White House’s South Lawn.